Perhaps the best-known form of Austrian folk music is Viennese schrammelmusik, which combines both rural folk songs and more urban dance music. Schrammelmusik began in the late 1800s and remains thriving in the 21st century, according to the Tripsofa website. Many of the instruments used in Austrian folk are used for playing schrammelmusik and the genre’s popularity has been such that much of Austria’s folk music is now referred to as schrammelmusik, regardless of its exact origins. The accordion has played a part in folk music throughout Austrian history. Traditionally, accordion players have turned up to play at any village fete or festivity. According to the Accordions Worldwide website, the typical Austrian rural family would probably have owned an accordion themselves, giving the instrument an immense value in Austrian folk culture. In the Alps, particularly in Styria, the accordion is especially popular, giving rise to the Styrian harmonica, a type of button box accordion. 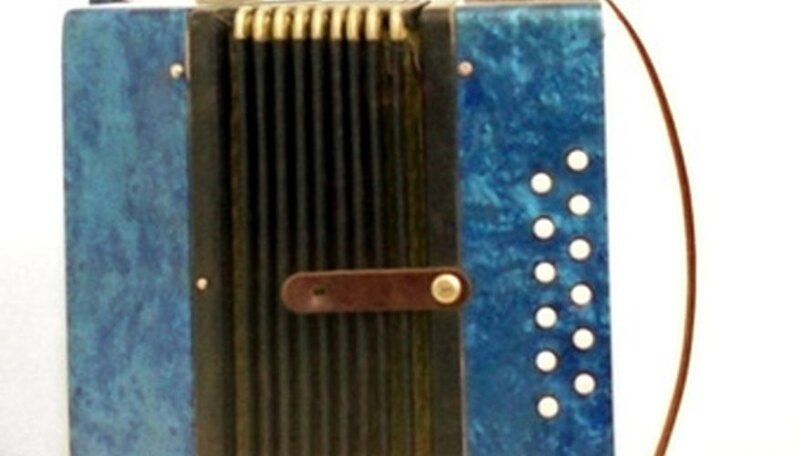 In the 20th century, the accordion began to cross the boundary into folk-pop and even blues music, incorporated into the Viennese Blues bands popular in the 1930s and 1940s. Meanwhile, the accordion is played today as part of Viennese schrammelmusik bands and by Austrian street entertainers. An essential part of schrammelmusik, the double-necked guitar is simply that: a guitar with an extra, separate neck. One neck tends to be fitted with twelve strings while the other will have six strings, as described by the Double Neck Guitar website. The effect is that the guitarist can double up on the music being played by rapidly switching between both necks, allowing for more variety in the music. While today’s double-necked guitars tend to be electric versions popularized by rock bands, Austria’s double-necked guitars date back to the roots of schrammelmusik in the 19th century. Though the clarinet is probably best-known for its role in classical, military and jazz bands, it has also found a place in some of the folk music cultures of Europe, including Austria’s, thanks to its versatility as an instrument. The clarinet is a wind instrument typically made of dark wood with metal keys. It was developed out of a single-reed instrument, the chalumeau, as indicated by the Connexions website. The clarinet can be heard incorporated into Austrian folk bands alongside the accordion and double-necked guitar on recordings such as the "Uncensored Folk Music of Austria," a collection of authentic and occasionally raucous regional songs.